I said this to my teenage son while he was picking perfectly cooked strips of pig fat out of a grease-filled pan and laying them on a paper towel to drain. I already knew he was planning to allot me only one slice, adding the rest to his heaping plate of eggs. There are seven words I am not permitted to utter in front of my kids: Stife, Clutch, Fire, Dope, Swag, Fo’ Shizzle and Chill. Actually, “Chill” is borderline. Meaning, there are some occasions I can use that word and my sons don’t affect a look as if I’d started dancing in the kitchen in front of their friends. I’m not a bad dancer, and I can easily pull off half those words – but according to my sons, who are 16 and 21, I may do either only in private or with my own friends. 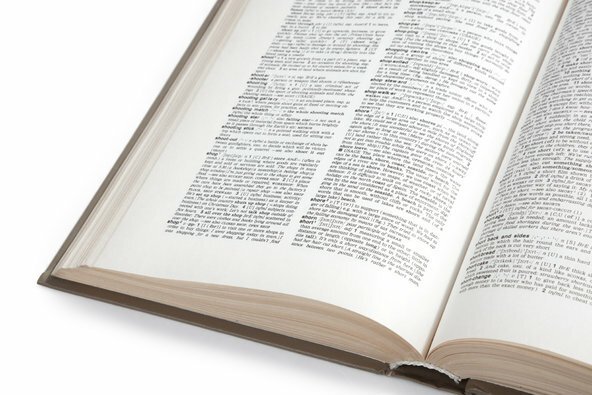 A quick trip to Urban Dictionary provides several meanings for “Stife.” My younger son and his friends employ its third definition: “Used to mean stingy in the very negative sense.” I’ve done my due diligence, and in my view, that’s my initiation fee. But to my boys, I’m barging up the ladder to the tree house, blatantly ignoring the sign that says Keep Out. When my older son and his friends are together, listening to them talk is like trying to decipher the clicking of the Bantu. It’s all delivered so fast – recognizable words cavorting with the unfamiliar – and there’s not even a moment to ground myself in context clues. I think of it as a unique dialect, perhaps specific to our town – possibly even to our high school. I take in conversations as if they were pieces of music, having no real idea if they’re complaining about finals or making plans to gather somewhere on a Saturday night. But their dialogue feels alive, and I love it. I like words and I always have. I spent years of my boring youth browsing Merriam-Webster the way some foodies might thumb through Yotam Ottolenghi’s books: not for any real purpose – just to absorb what’s there and what one might do with it. My parents liked words too, and when you grow up in a home rich with vocabulary, it feels good and right to be curious and expand your personal lexicon. “Explain to me how to use ‘swag.’Give it to me in three sentences. I want to understand,” I’d say to my sons. Deborah Tannen, a professor of linguistics at Georgetown University and author of “You’re Wearing THAT?,” bears this out. “Every group has its own language — terms, expressions, usages that come to characterize the group and give them a sense of belonging when they all use it. When outsiders try to use the language, it’s like they’re trying to break into the group or pretend to be members when they’re not,” Ms. Tannen said. Sometimes the signals my kids send me are mixed, and that doesn’t help. I’m not allowed to call my beloved new boots “dope,” but if I refer to “weed” as “pot,” they correct me, making sure I’m using the more current vernacular. Obviously, some of my verboten words are fine to use in a middle-aged context. I am free to say “clutch” if I happen to be in a manual transmission automobile, or talk about “fire” if I’m standing at the grill. But both those words mean something different when my sons use them – namely: great, awesome, fabulous. How tired am I of using the word “great” to signify my enthusiasm about something? What’s the big deal if I find a poppin’ new word to break up the monotony? But to them it is a big deal. “Kids at that age are particularly eager to establish their identities separate from their parents, which is why they start identifying with friends instead in the first place,” Ms. Tannen said. I hold out my plate and meet my son’s eyes. “More bacon, please,” I say, as if he hadn’t just kicked me out of the clubhouse (again). We both know this isn’t really about bacon. It’s about connecting. And he knows he’s being stingy, but he doles out another slice –and it is fresh, in every sense of the word.